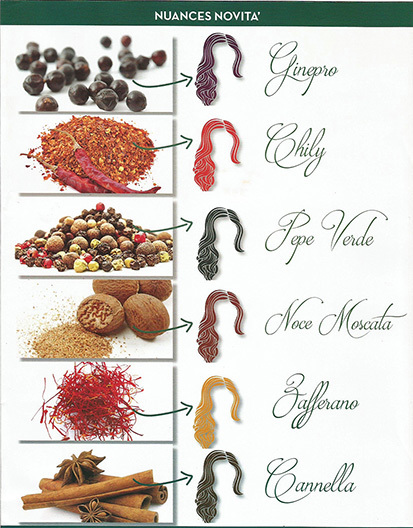 The procedure adopted for the making of dyes by “L’Albero del Colore” utilizes active principles of vegetable origin, Aloe Vera, extracts of camomile, millet and henna, vitamins and substances with a high degree of cutaneous tolerance; therefore, these dyes may be positively recommended for persons who are intolerant to ordinary oxidation dyes, and for all those who desire to dye their white hair in perfect tranquillity and safety. The dyes by “L’Albero del Colore” join high tolerance to the effectiveness of the professional dyes, in order to give you optimum results in complete safety. FEATURES: dyes white hair, revives and intensifies natural colour, makes the hair velvety soft and lustrous,gives sturdiness and volume to the hair, exercises a re-equilibrating and protective action on the scalp. For a result that will completely satisfy your quality expectations, please follow carefully the instructions for how to apply the dye.